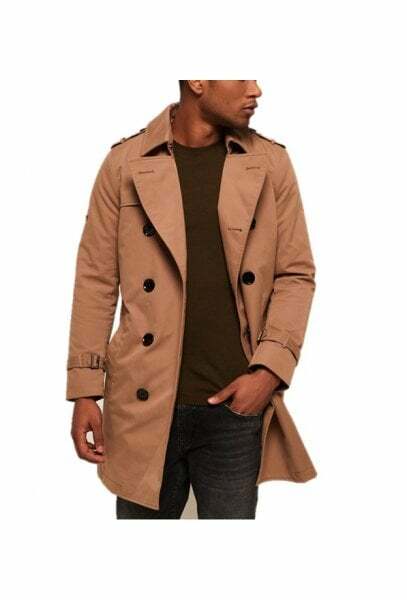 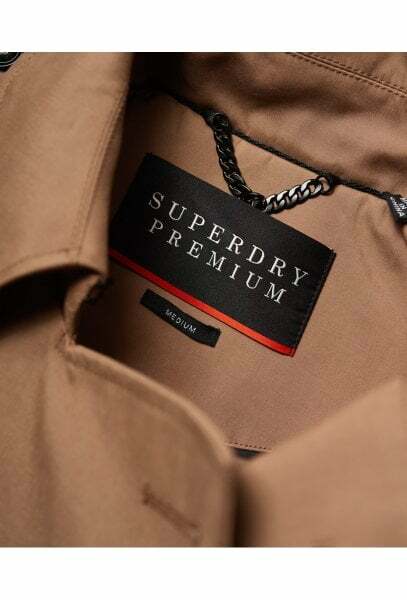 Superdry men’s Premium Director trench coat. 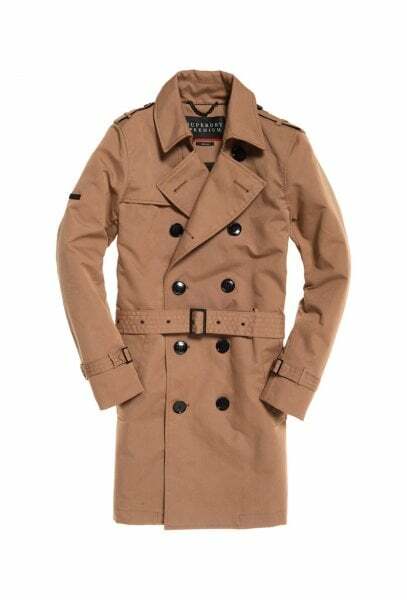 Double-breasted, belted and made from premium soft-touch fabric, the Premium Director trench coat is a classic wardrobe item for this season. 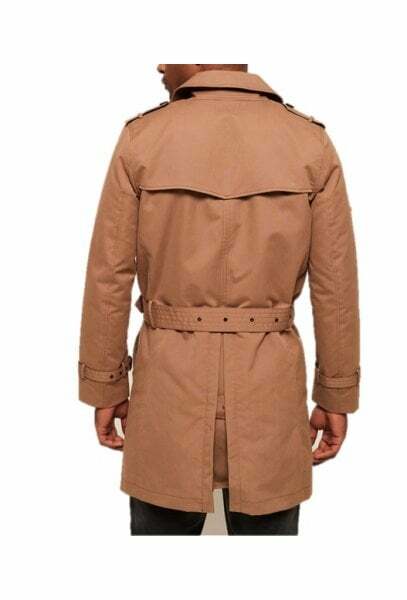 The coat features two external pockets, a rear vent with a button fastening and a belt strap. 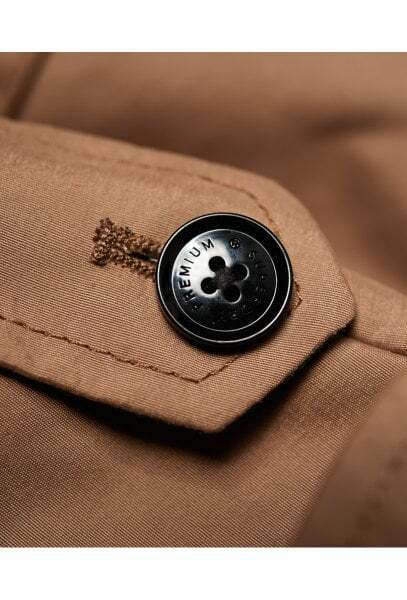 Inside, there are two pockets with button fastenings. 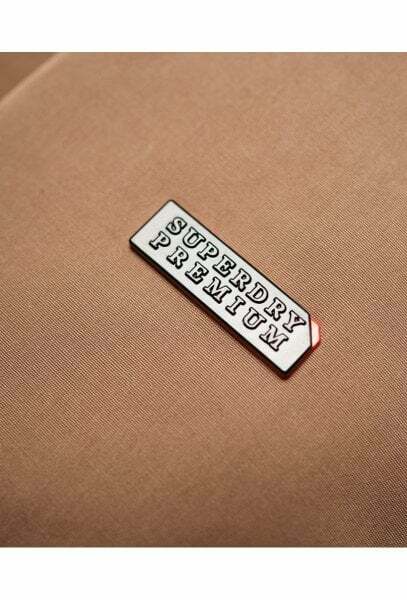 This premium coat is finished with a subtle metal Superdry logo badge on the sleeve.